Manufacturer: MG. ABS Pump ECU. Genuine used part removed with expert care and tested where possible. Part Number: 0 265 222 001. ROVER 75 / MG ZT REAR BRAKE PAD SET. 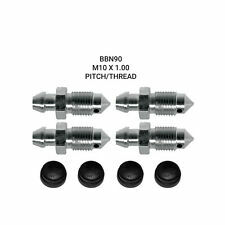 THESE ARE GENUINE MG ROVER SO QUALITY IS ASSURED. We have hundreds NEW, USED AND REFURBISHED parts ready for dispatch. We take great pride in what we do and all parts are cleaned prior to dispatch. Please read full listing description carefuly before you order to make sure the part does fit your car. - ROVER 75 & MG ZT REAR 2 BRAKE DISCS & PADS HANDBRAKE SHOES & FITTING KIT SENSOR. Please read full listing description carefuly before you order to make sure the part does fit your car. - ROVER 75 MG ZT FRONT 2 AND REAR 2 BRAKE DISCS & HANDBRAKE SHOES NEW (NO PADS). ROVER 75 MG ZT ZS 2.5 V6 SPARK PLUGS GENUINE LUCAS X6. ROVER 75 MG ZT REAR BRAKE DISCS BRAKE PADS NEW. ROVER 75 MG ZT BRAKE DISCS BRAKE PADS REAR NEW. ROVER 75 MG ZT FRONT BRAKE DISCS BRAKE PADS FULL SET. Brake Caliper Type: Brake Caliper (1 piston). 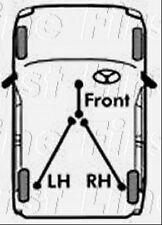 Fitting Position: Rear Axle Left & Right. Brake System: ATE. Brake Caliper. Brake Disc Thickness [mm]: 19. Please read full listing description carefuly before you order to make sure the part does fit your car. - ROVER 75 & MG ZT 190 REAR VENTED BRAKE DISCS & PADS SET & HANDBRAKE SHOES NEW. MG MG ZT 190 06.01 - 07.05 140 190 2142-334. MG MG ZT 190 06.01 - 07.05 140 190 2142-365. MG MG ZT 160 06.01 - 07.05 118 160 2142-332. MG MG ZT 2.0 CDTi 11.02 - 07.05 96 131 2142-341. MG MG ZT 2.0 CDTi 11.02 - 07.05 96 131 2142-353. Brake Pads. Fitting Position: Rear Axle. Brake System: Brembo. Our Part No's / OE PART NUMBER VAPADB31755-C. Other Information Width 2: #. Width 1: 65.5 mm. Please read full listing description carefuly before you order to make sure the part does fit your car. - ROVER 75 MG ZT FRONT 2 AND REAR 2 BRAKE DISCS NEW SET (NO PADS). YOU ARE PURCHASING ONE SET OF GOOD QUALITY REAR BRAKE PADS AND A SET OF FOUR HAND BRAKE SHOES FOR THE REAR OF ROVER 75 MG AND ZT MODELS FROM 1999 ON WARDS. 75 Tourer (RJ). This item fits the following cars. Diamètre du disque 280.0 mm. Disque épaisseur 10.0 mm. Les rainures aider à déglacer le tampon et empêcher la décoloration qui survient lorsque le patin et le disque devient trop chaud! Centre de diamètre 64.2 mm. (MG) Rover MG ZT 1,8 T 10/02-05/05 arrière frein disques percée rainurée Gold Edition. Rover (MG) MG ZT 1.8T 10/02-05/05 Rear Brake Discs Drilled Grooved Gold Edition. Diamètre du disque 280.0 mm. Disque épaisseur 10.0 mm. ROVER 75 MG AND ZT ALL MODELS,FROM 1999>>. Order placed before 4.00pm. Bolt Hole Circle ( mm ): 100. Brake Discs and Pads. Position: Front Axle. Position: Front. 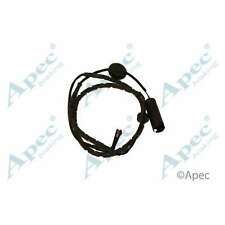 Our Part No's / OE PART NUMBER VAP0522BK-B. Part Number: ADC1336V. Part Number: ADB0898. Other Information. OEM: SEC100251. MG ZT & ROVER 75 BRAKE BACK PLATE. MG ZT & Rover 75 all models. 1x FRONT LEFT. 75 Tourer (RJ). This item fits the following cars. Model Year. We are here to help. Order placed before3.00pm. These are the areas we do NOT cover This is to save us and you any inconvenience. United Kingdom ’ does not cover all of the. Please read full listing description carefuly before you order to make sure the part does fit your car. - ROVER MG ZT FRONT & REAR BRAKE DISCS & PADS & SHOES SENSORS (CHECK SIZE CHOICE). Please read full listing description carefuly before you order to make sure the part does fit your car. - ROVER 75 MG ZT FRONT & REAR BRAKE DISC PADS AND WIRE SENSOR LEADS NEW SET. Brake Caliper Type: Fist-type Caliper. Brake Caliper. Material: Cast Iron. Brake Disc Thickness: #. Please read full listing description carefuly before you order to make sure the part does fit your car. - ROVER MG ZT REAR 2 BRAKE DISCS & PADS AND HANDBRAKE SHOES SET NEW. Please read full listing description carefuly before you order to make sure the part does fit your car. 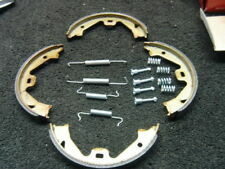 - ROVER 75 MG ZT ZTT REAR VENTED BRAKE DISCS & PADS & HANDBRAKE SHOES FITTING KIT. Please read full listing description carefuly before you order to make sure the part does fit your car. - ROVER MGZT MG ZT 190 2001-2005 REAR VENTED BRAKE DISCS AND MINTEX PADS SET NEW. Gold Edition - finition attrayante. Diamètre du disque 284.0 mm. Disque épaisseur 22.0 mm. Les rainures aider à déglacer le tampon et empêcher la décoloration qui survient lorsque le patin et le disque devient trop chaud! ROVER MG - ZT-T. FRONT AND REAR BRAKE DISCS AND BRAKE PADS. X SET (4) FRONT BRAKE PADS. 1 X SET (4) FRONT BRAKE PADS. SET TO FIT BOTH FRONT BOTH REAR WHEELS. IF YOU ARE UNSURE THEN DO NOT HESITATE TO CALL US AND WE WILL BE. Material: Cast Iron. Brake Caliper Type: Brake Caliper (1 piston). Brake Caliper. Please read full listing description carefuly before you order to make sure the part does fit your car. - MGZT MG ZT ZTT 190 2001-2006 REAR 2 VENTED BRAKE DISCS SET NEW. MG MG ZT 6 / 2002-9 / 2005 diesel : 2.0 CDTI 204D2. MG MG ZT 1 / 2001-7 / 2005 Essence : 1.8, 160, 180, 190 25 K4F. Rover 75 RJ 2 / 2003-5 / 2005 diesel : 2.0 CDT, 2.0 CDTI 204D2. Capteur de vitesse de roue ABS arrière. ROVER MG ZT ALL MODELS INC TD WITH SOLID REAR DISCS. SALOON AND TOURER MODELS. ROVER 75 ALL MODELS INC 1.8, 2.0DI,2.0,2.5V6 INC CLUB CONNOISSEUR. FRONT AND REAR BRAKE DISCS AND BRAKE PADS. With warning wire sensors.